Nordic ID RF6 Series PDAs. Other products and services include. Motorola/Zebra MC55/MC65/MC67 Series PDAs. 1 x Mains Cable with UK Plug (used - inspected, tested, cleaned and end user ready). Zebra MC55/MC65/MC67 Series PDAs. Other products and services include. Products & Services. Zebra/Motorola/Symbol MC55 MC65 MC67 Series PDAs. 1 x Cigarette Lighter Adaptor Cable(used - inspected, tested, cleaned and end user ready). 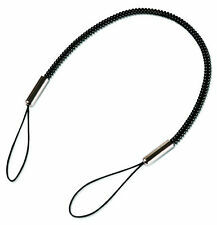 1 x UK Mains Lead(used - inspected, tested, cleaned and end user ready). AA Battery Powered Powerboot Module for the Trimble / TDS Recon 200, 200X, 400, & 400X. Use your Recon in remote areas where an AC outlet is not accessible! Battery module has both USB and Serial port connectivity for data transfer. RAM Suction Cup & Double Socket Arm Vehicle Mount. 1 x RAM RPR-271S Suction Cup & Double Socket Arm. Suction Cup & Double Socket Arm Total Length (approx): 6.3"/160mm. Double Socket Arm Length (approx): 3.74" /95mm. Symbol MC50 PDAs. Other products and services include. Symbol/Zebra WT4090/WT41N0 Series PDAs. 13"/33cm & 1 x approx. Symbol/Zebra SG-WT4023020-06R Wrist Mount. for use with. Other products and services include. Series 3 User Guide 228 pp V1 Sept 1991 English. 1 x Datalogic Instruction Leaflet. 1 x Datalogic WEEE Compliance Sheet. Falcon X3 & X3 Series PDAs. Single Slot Desk Mount Dock with Spare Battery Charging Slot. Other products and services include. 1 x USB Cable. 5 x Symbol 21-38862-01 Wrist Mounts Breathoprene with Boot for WSS1040, WSS1049, WSS1060 PDAs. Symbol WSS1040, WSS1049, WSS1060 PDAs. Other products and services include. You Will Receive. Products & Services. Other products and services include. Zebra MC9000/MC9190-G /MC9200 Series PDAs. Other products and services include. Products & Services. 1 x Ikon CH4000 Desktop Docking Station Quick Start Guide. Other products and services include. 4 x Plug Adapters. Omnii XT10/XT15/RT15 PDAs. 1 x Omnii Snap Modules Quick Start Guide. 1 x Omnii Hand-Held Computer Accessories Regulatory & Warranty Guide. (module only - no cable supplied). You Will Receive. Here is a new Hotsync Docking Cradle Station for Palm Handhelds. It is a Model P10828U with a serial PC connector and a MAC adapter. Sealed in the original factory shrink-wrap. My Palm Pilot VIIx fits perfectly. 1 x PWR-BUA5V16W0WW (used - inspected, tested, cleaned and end user ready). 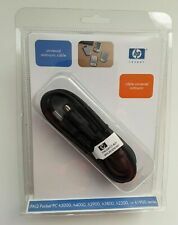 1 x USB Cable (used - inspected, tested, cleaned and end user ready). 1 x Power Cable 5.4V 3A (used - inspected, tested, cleaned and end user ready). All pictures are of the actual item. Cash is preferred if you are picking up in person. Honeywell D70e & D75e Wearable Computers PDAs. Honeywell HWC-Arm Mount Sled. 1 x Honeywell Arm Mount Sled Quick Start Guide. Other products and services include. Source: Genuine factory supplied accessory. Motorola Zebra MC95XX Series PDAs. 1 x Cable (approx. 4m long) (used - inspected, tested, cleaned and end user ready). 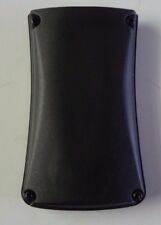 Motorola ST6081 Rubber Boot (Standard Back). Omnii XT10 & XT15 Series PDAs. Other products and services include. Products & Services. Datalogic 94ACC1387 Soft Holster. Datalogic Falcon X3 & X3 PDAs. Other products and services include. Products & Services. 1 x Motorola VAM9500-100R Adaptor Module. Motorola MC95XX Series PDAs. Other products and services include. Motorola/Symbol/Zebra MC30, MC31, MC7 Series PDA Batteries. 1 x Motorola Accessories Regulatory Guide. Other products and services include. Product & Services. Omnii XT10/XT15/RT15 PDAs. (module only - no cable supplied). You Will Receive. MC9000 Series PDAs. Other products and services include. Jabra BIZ™ 2300 QD Mono Corded Headset. 1 xJabra BIZ™ 2300 QD Mono Corded Headset. 1 xJabra BIZ™ 2300 QD Quick Start Guide. QD - Quick Disconnect. 1 x Warning and Declaration - Corded and Wireless Booklet. Hp Ipaq h2200 untested in open box. No software pack included. Please refer to pictures for the final condition and details. All sales are final. No returns. If you have any questions or need any additional info please feel free to message me anytime prior to bidding. All of our electronics are marked internally to avoid faulty returns. Symbol MC5040 PDA. Product & Services. Motorola/Symbol/Zebra RS409 & RS419 Ring Scanners. Other products and services include. Products & Services. Vocollect HD-800-105B Maintenance Kit SRX Headset. Vocollect SRX Headsets. (Kit comprises of 50 Foam Earpads & 25 Earpad Mounting Discs). 50 x Foam Earpads. 25 x Earpad Mounting Discs. Other products and services include. Other products and services include. Products & Services.